Steadily growing Wordpress offers its simple, easy to adopt architecture, variety of features and templates in the open source market. WordPress, referred as leading blogging tool, is used today as best content management tool that allows non technical user to upload new or modify existing content easily. With the latest launched version with features of responsive web design, it has enabled mobile users to browse through websites with brighter images and text than earlier. 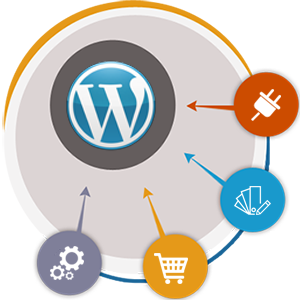 WebAppMate has an organized team of eminent developers with experience of developing customized websites leveraging best features of WordPress. Our team has in depth knowledge of CMS tools and suggests best end to end solution as per clients specific needs. There is no room for any flaws in our deliverables and percentage of our repeated clients substantiate our high end customer friendly solutions.